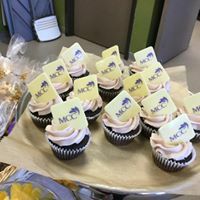 McHenry County College announces the grand re-opening of its student-run bakery, Sweet Scots, from 9:30 a.m. to 1:30 p.m. on Wednesday and Thursday beginning Sept. 12. 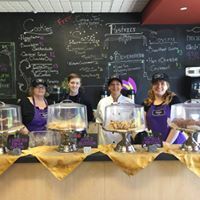 The bakery offers freshly-baked cookies, brownies, pastries and beverages. In its fifth year, the bakery is part of the college’s Culinary Management program where students get hands-on experience running a real bakery. Students in the class are working toward their AAS degree in Baking and Pastry Management. All menu items are made from scratch without any artificial colors or flavors. Vegan and gluten-free options will again be available. Customers receive a free coffee with purchase. Some new items this year are pumpkin monkey bread and caramel chocolate chip cookies. Back by popular demand are the espresso cream brownies and Earl Grey cherry tea cookies. Another returning favorite is the daily $5 “Pick 2” lunch box special, including soup or savory item, choice of a single cookie and choice of drink. The bakery staff will begin taking orders for Thanksgiving pies in October. Sweet Scots is located in the Scot Room (B178), located next to the culinary lab in Building B. To view the weekly soups and pastry specials, visit the Sweet Scots Facebook page at www.facebook.com/sweetscots. For more information, visit www.mchenry.edu/sweets.